Seated from left are Michele Hourigan, Oswego Health’s Director of Business and Community Development; and Ed Alberts, Administrator of Rehab Resources. Standing from left are committee Pete Donovan, Kristen DeSantis, Pete Cullinan and Dawn Smith. 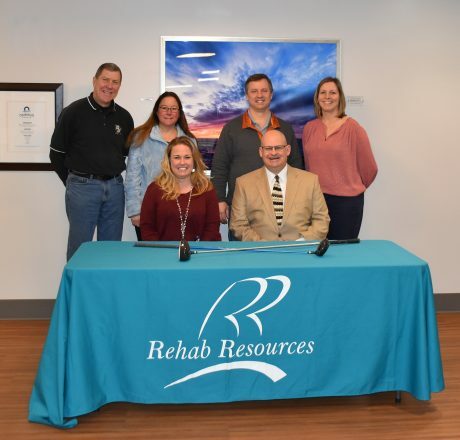 OSWEGO – Returning as the title sponsor for Oswego Health’s upcoming golf tournament is Rehab Resources. The annual golf outing will be held June 3 at the Oswego Country Club. Rehab Resources has been a long-time sponsor of the tournament, which ensures that excellent local healthcare services are available right at home.